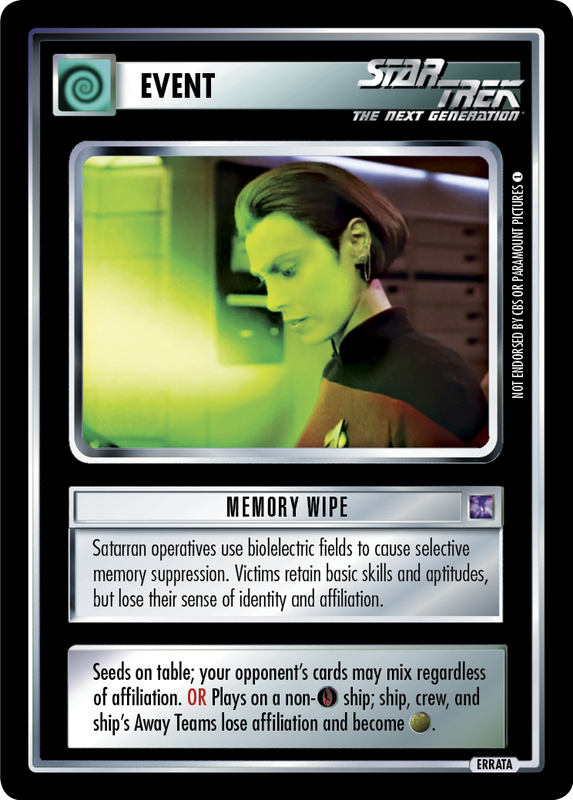 Satarran operatives use biolelectric fields to cause selective memory suppression. Victims retain basic skills and aptitudes, but lose their sense of identity and affiliation. Seeds on table; your opponent's cards may mix regardless of affiliation. OR Plays on a non- ship; ship, crew and ship's Away Teams lose affiliation and become .